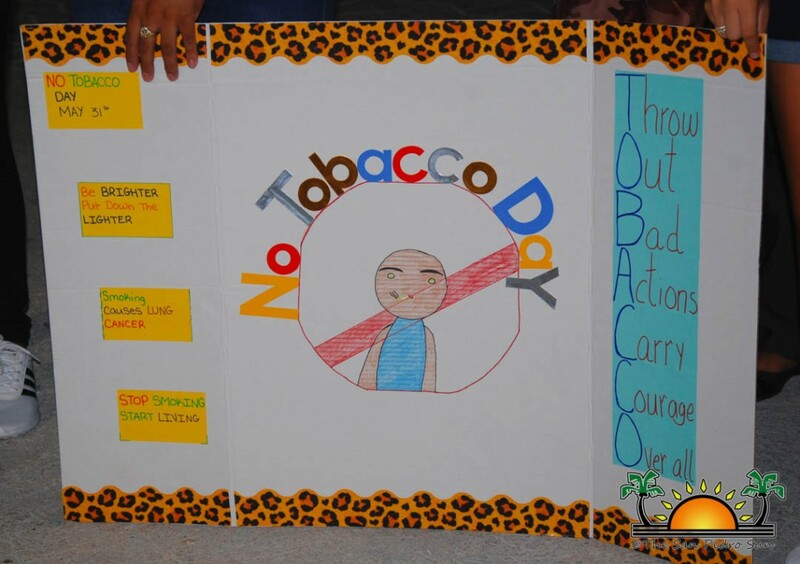 On Tuesday, May 30th, National Drug Abuse Control Council (NDACC), joined by Projects Abroad, students, teachers, and community members met at the Central Park to participate in the ‘World No Tobacco Awareness Walk and Poster Competition’. 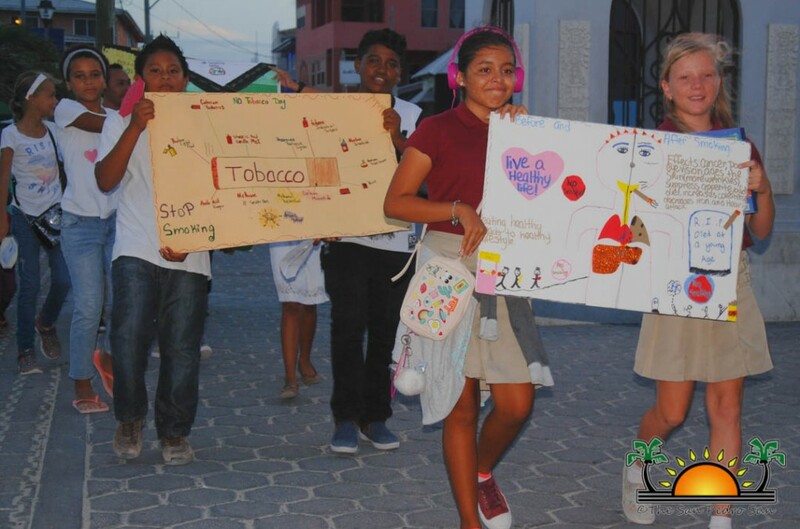 The gathering proudly marched with their handmade posters depicting the dangers of tobacco. 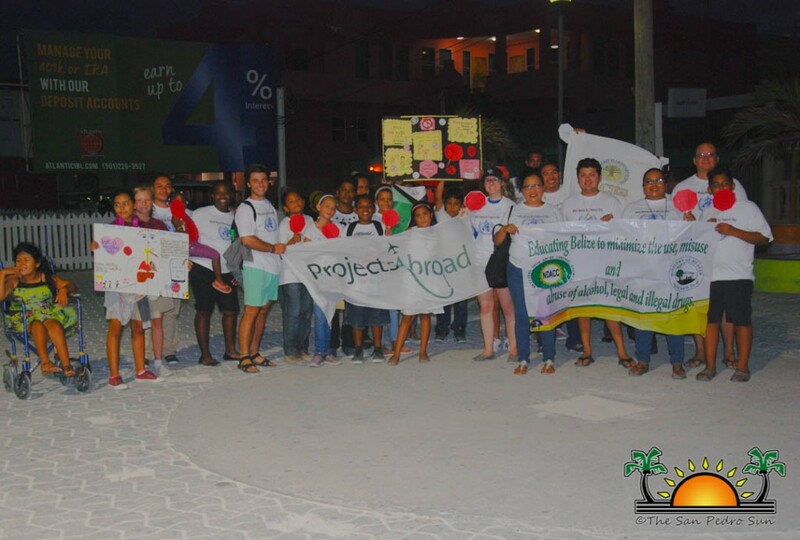 The walk proceeded to the roundabout at the San Juan Area, and headed back down through Pescador Drive, culminating at the park. 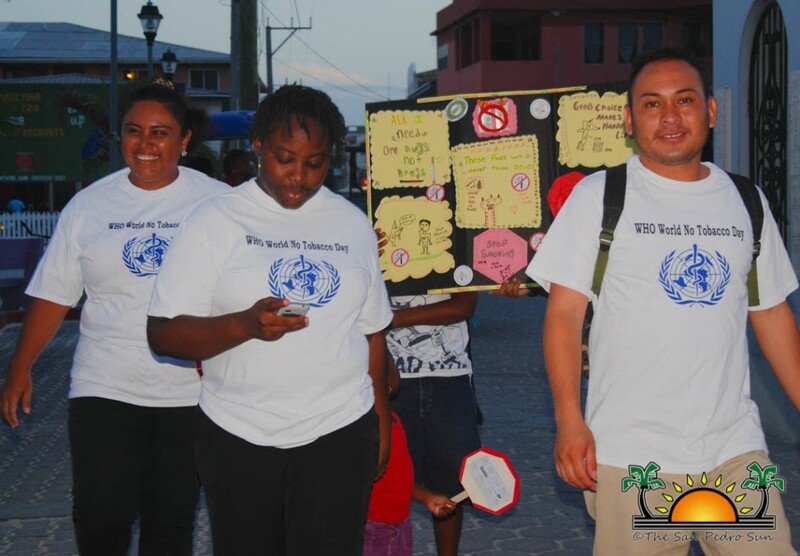 As part of the celebrations, a poster competition had been held, and on Wednesday, May 31st, Romero announced the winners. 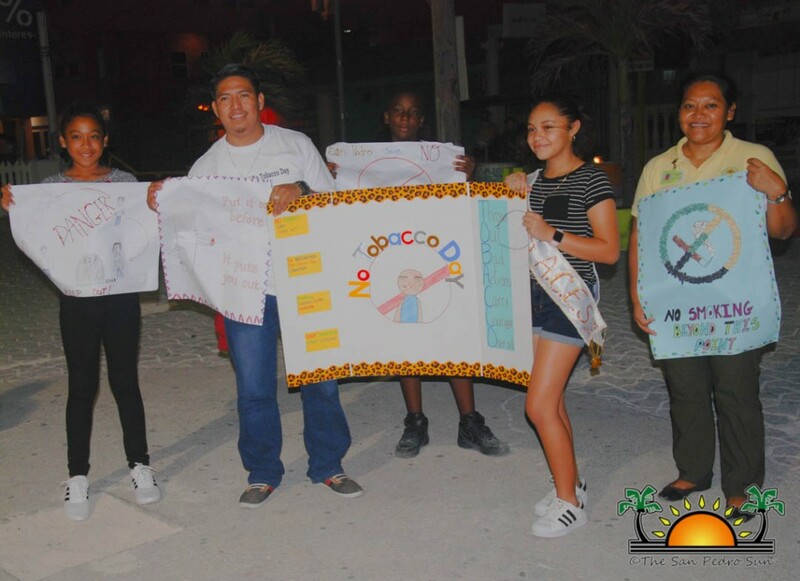 In first place, five students from Isla Bonita Elementary School (IBES) won $75 in cash: Marries, Madison, Edwardo, Brigel and Marwa. 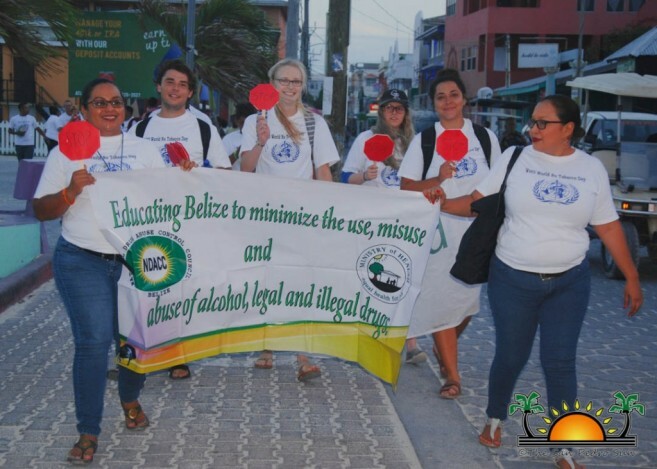 In second place, Caroline Sersland and Anna Garcia of IBES won a $50 Sandbar gift certificate, while Jasmine Sanchez of Ambergris Caye Elementary School (ACES) won $25 in cash. 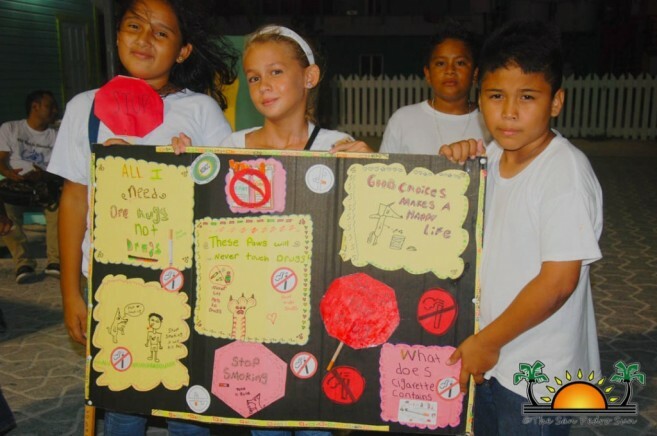 Amber Rivero of ACES came in fourth place, winning a $20 gift certificate to The Coffee Bar. 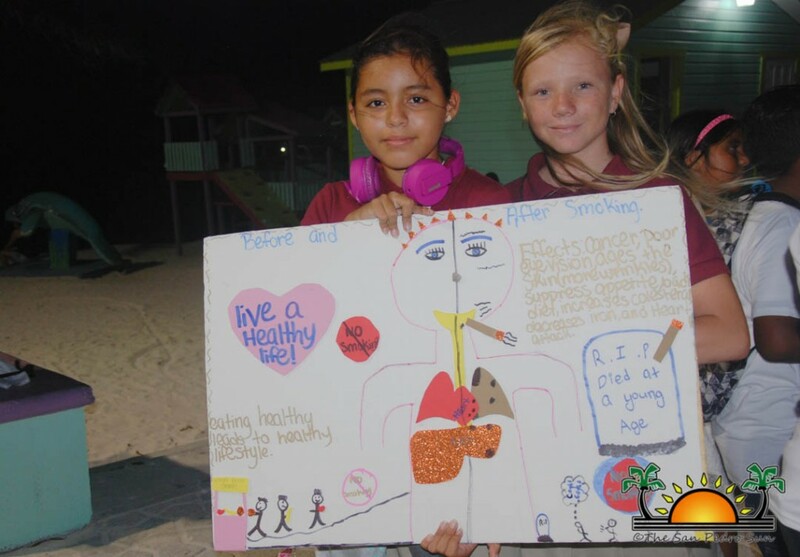 The winners of the poster competition can pick up their prizes at the Projects Abroad office on Barrier Reef Drive, beside the San Pedro Town Council. NDACC thanks all of their sponsors, and everyone who made this year’s event a huge success!